Top officials are alleged of criminal conspiracy and siphoning crores from the food chain's Indian subsidiary Connaught Plaza Restaurants. 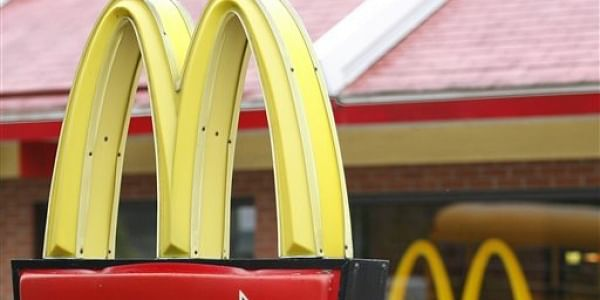 NEW DELHI: The CEO of USA-based McDonald's Corporation, top officials of McDonald's India and several businessmen have been summoned by a court here for alleged criminal conspiracy and siphoning hundreds of crores from the food chain's Indian subsidiary Connaught Plaza Restaurants (CPR) Ltd.
Additional Chief Metropolitan Magistrate Sandeep Garg passed the order on the complaint of Delhi-based Deepak Khosla against top officials of various companies allegedly involved in the conspiracy, including ex-CPR Managing Director Vikram Bakshi and his wife for siphoning over Rs 409 crore from the company and falsifying its books of accounts. Besides Vikram Bakshi and his wife, the court has summoned the chairman, vice chairman and president of McDonald's USA, directors of McDonald's India and officials of various other hotel companies and their auditing firms for offences including cheating, criminal conspiracy and criminal breach of trust under IPC. The court also referred the matter to the SEBI chairman for examining the case for contravention of provisions of the SEBI Act and Regulations made thereunder. According to the complaint, Vikram Bakshi, MD of Connaught Plaza Restaurants (P) Ltd, which is running the Mc Donalds chain of restaurants in north and eastern India, is alleged to have siphoned out Rs 409.75 lakh from CPR and a part of this sum has been siphoned out by him through another accused company Ascot Hotels & Resorts Ltd which is also owned by him and his wife. It alleged that Rs 1.85 crore was dishonestly withdrawn from the bank account of CPR in 2006 at the instance of the Bakshi couple to finance the takeover of a company of Khosla's wife Sonia in violation of the SEBI regulations. Sonia is the founder, director, promoter and majority shareholder of Montreax Resorts.